Shedsy has done a grand write up from the Swiss Nationals. Was the last day today. He's moving on to France for the French Nationals which take place 7-13 June - lucky bu88er! 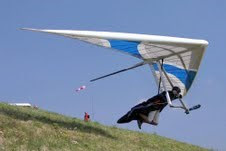 So what's hang gliding all about?